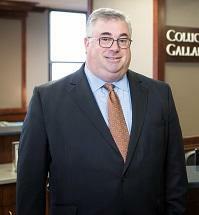 Ryan Gellman has been practicing with Colucci & Gallaher, P.C. since 1995, concentrating primarily on litigated matters. He represents both plaintiffs and defendants at trials, arbitrations, mediations and appeals. Areas of practice include personal injury, commercial litigation, toxic torts including asbestos and securities disputes. Mr. Gellman practices in state and federal courts, as well as in bankruptcy court and various other administrative courts. Mr. Gellman graduated in 1989 from The Wharton School of Business at the University of Pennsylvania with a B.S. in economics and a concentration on finance. He graduated from the SUNY at Buffalo Law School in 1993 and graduated from the SUNY at Buffalo School of Management in 1994 with an M.B.A. He has been selected as Super Lawyer and as a 2013 Legal Elite of Western New York. He is licensed to practice law in both New York and Florida.